Join our team of marine biologists, naturalists, and scuba instructors. Find out what it feels like to inhabit the watery realm. Learn first hand about how to protect the ocean — and the world you will inherit. Join other teenagers from around the world in Utila, Bay Islands, Honduras, July 27-August 3rd, 2019 or in Florida, USA, June 17-27, 2019 and be a force for solving problems facing the sea. Join Team Ocean Teen Leaders (TOTL) and rise like a wave! Because YOU matter. Ocean Matters is 501(3)c nonprofit corporation led by such luminaries as National Geographic underwater photographer Brian Skerry and Peter Yarrow of Peter, Paul & Mary. Donations are tax-deductible as outlined by law and support scholarships to help develop local youth in the endangered ecosystems we are working. We bring high-school aged students to endangered marine ecosystems for service learning projects performed on scuba. 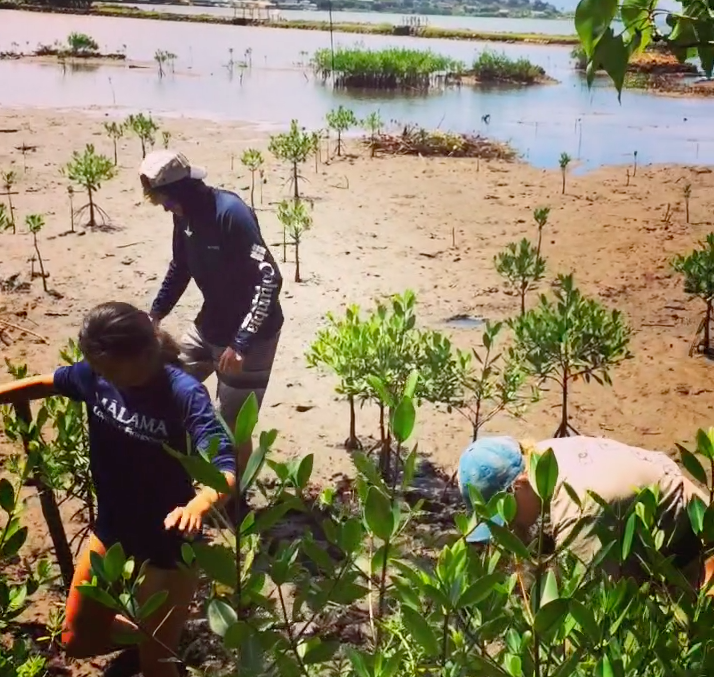 Our projects are designed in conjunction with local conservation organizations, universities, or NGOs and are designed to meaningfully address a pressing problem facing the sea. Whenever possible, we provide scholarships to include local, native young people from the areas we are working—be it Hawaii or Honduras—in order to develop capacity in local youth and learn from indigenous wisdom and practices. Ocean Matters students learning about celestial navigation or way-finding from a native Hawaiian youth who is involved in the Hōkūleʻa, a journey that revives the original journey in traditional canoes from Polynesia to Hawai’i using only the stars to navigate. Students also heard traditional stories from a native Hawaiian elder. 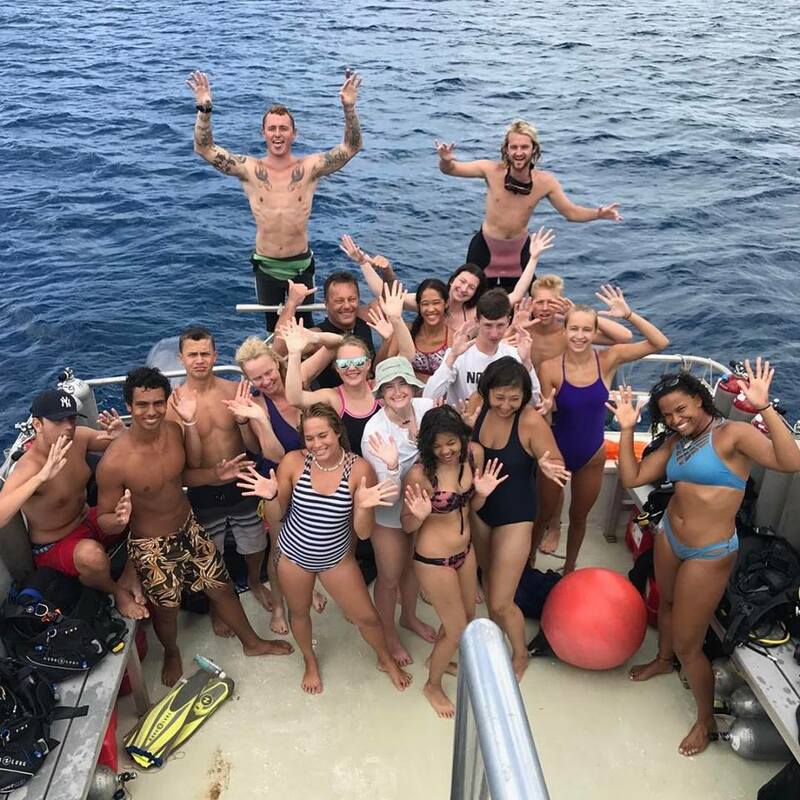 Young people who have come on an Ocean Matters adventure have collected data on coral vs. algal diversity on two coral reefs facing differing dive pressure in Grand Cayman for the Department of the Environment towards helping develop support for a carrying capacity for the coral reef. We’ve GPS positioned and size classed understudied seahorse populations; studied patterns of coral broken from boating to inform local legislation; and removed invasive mangroves in Oahu, Hawaii at a traditional native fish pond in order to help restore sustainable aquaculture practices. We’ve eradicated invasive lionfish and contributed to studies examining their stomach contents in order to better understand their ecological impact on other coral fish species and we’ve collected data on coral bleaching, as well as done underwater trash cleanups in Utila, Honduras. 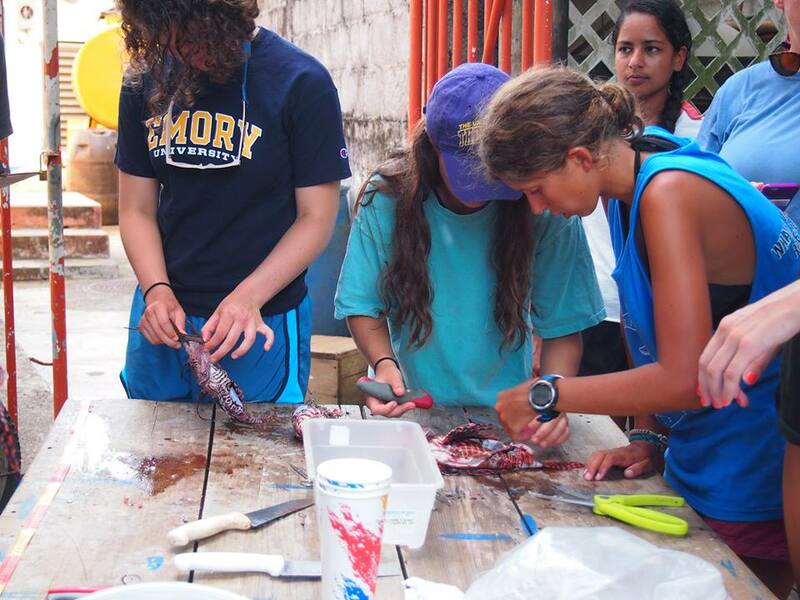 Students studying the stomach contents of the invasive lion fish to contribute to a study on its predation impact. Through scuba certification and hands-on science instruction we give you the skills and knowledge you need to make a difference to the world. We also provide support for you to continue projects that help save the seas that sustain us with other young people when you return home—wherever that might be! Our projects can be done along coastal waterways, rivers, lakes, and even in land-locked deserts. Best of all, you receive leadership skills and experience to share with others to make a positive difference to the environmental problems facing us. Be Green, AND BLUE, because the ocean matters and you do, too! We will be focused on solutions related to global threats to the ocean this year including: coral reef restoration, whale sharks monitoring, coral bleaching, and manatees and impacts of the red tide. See our 2019 programs for more detail. Please send me more information about Ocean Matters.